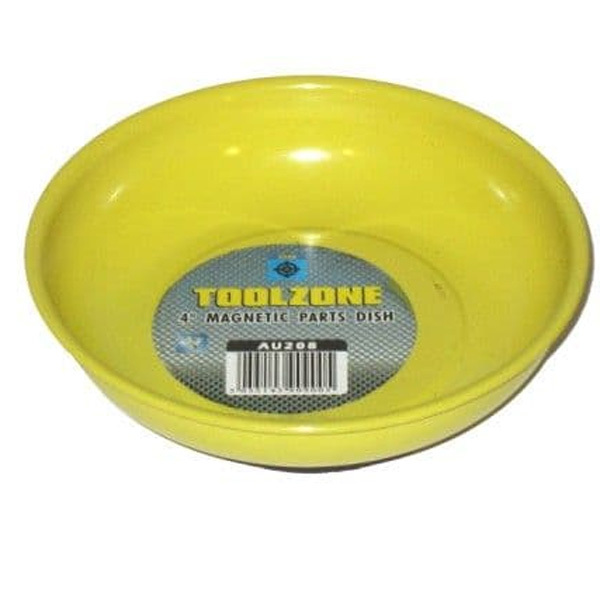 A 4" magnetic parts dish from Toolzone Tools. Never loose small parts again. 100mm diameter (4"), yellow (Hi-vis). 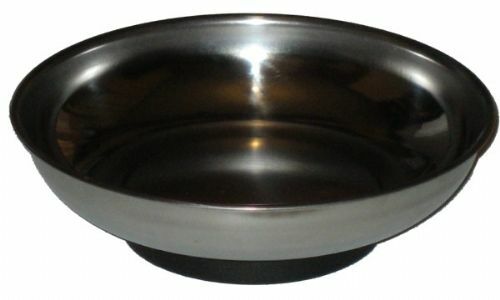 Strong magnet in base radiates through the dish. Rubber protective coating on base (PP). A very practical magnetic parts dish from Toolzone Tools.